I really, really like Easter Egg decorating. 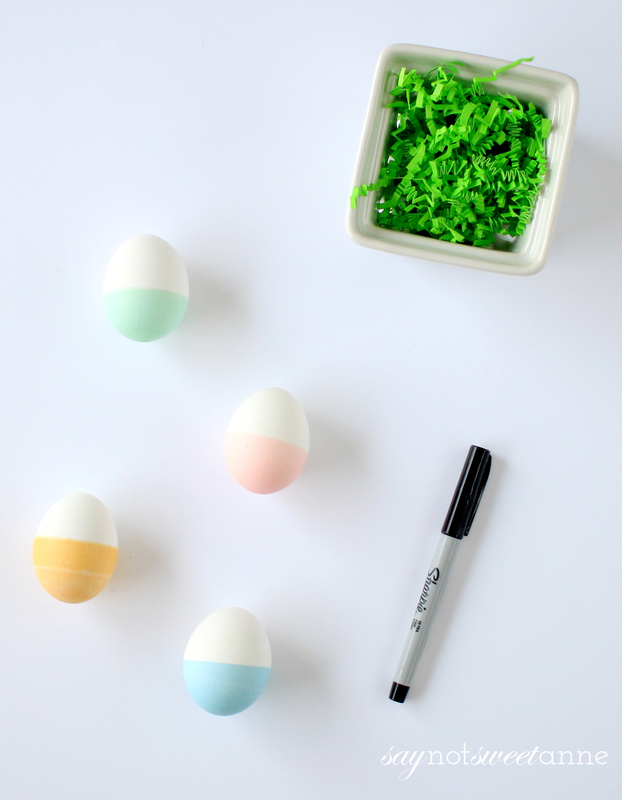 One of the first posts I ever wrote for this blog was How to Make Mosaic Eggs. There is something about the beauty of a white or brown egg, with its soft sheen waiting to be the perfect canvas for bright colors and shapes. Almost every year I try out a new way of decorating eggs, and this year is no different. 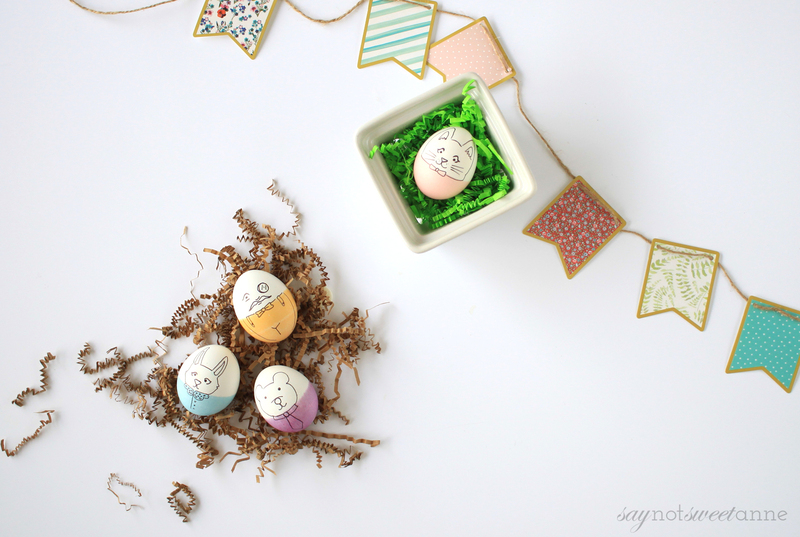 So today I introduce you to Humpty Dumpty Easter Egg, Peter Rabbit Easter Egg, and Little Bear Easter Egg. 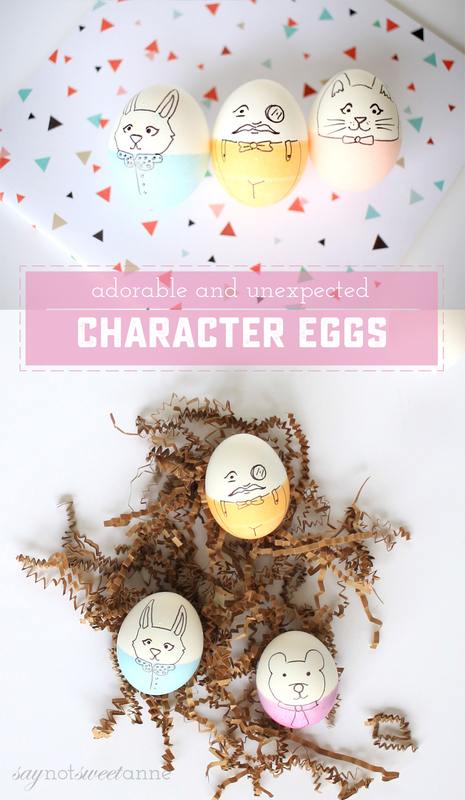 They’re adorable eggs made to look like characters, and they can be whoever you want! Making these eggs is really easy. A quick dye bath and then some creative permanent marker makes them come to life. I love the balance they have with the dark lines and light dye, they remind me of a 2 color screen print, or a water color illustrated children’s book. My toddler loves the Humpty Dumpty Easter Egg, and I’m already imagining making his favorite book characters in egg form. I love it when a simple craft can create so many possibilities! White or light brown eggs, either hard boiled or blown out. Wash your eggs with soap and water, then dry. This help to make sure the dye takes to the shell. Dip you egg half in the dy color of your choice. Hold it steady for about 10 seconds, then remove and let dry. 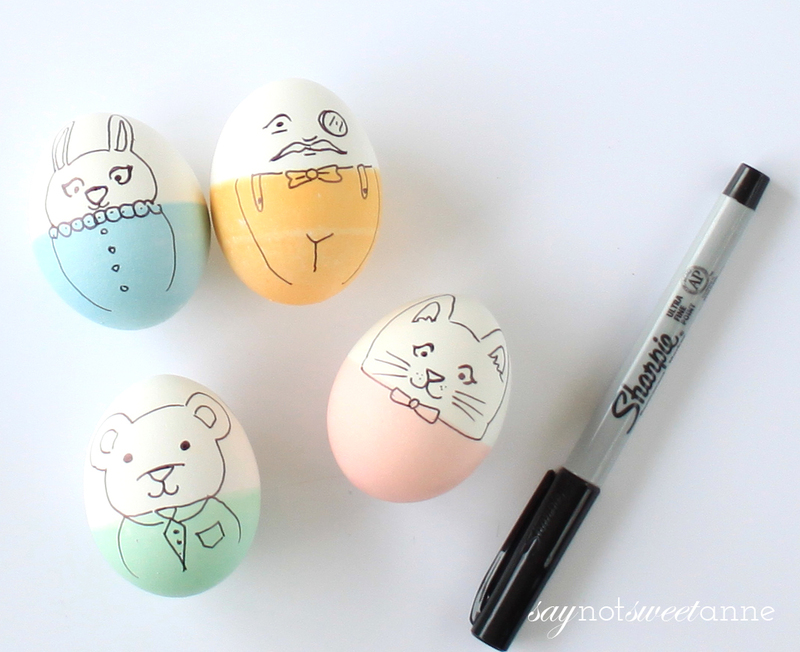 Color the faces on your eggs. 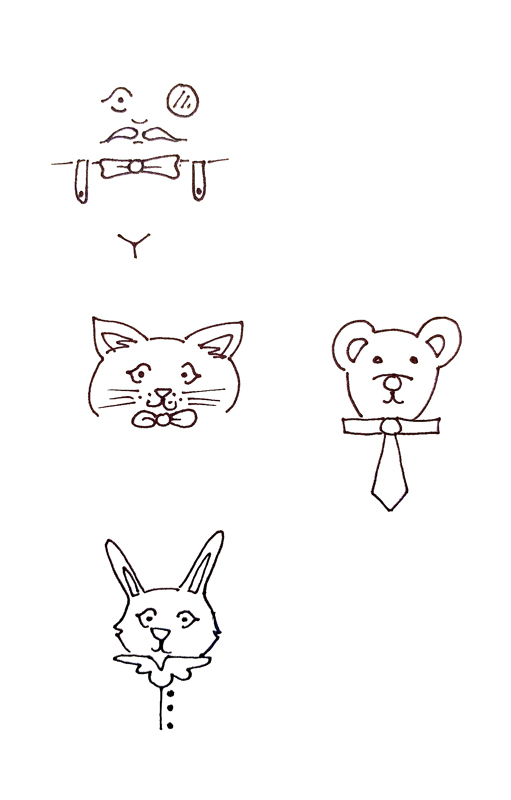 I’ve added a photo of my sketches below, for some easter egg decorating inspiration. Practice the drawings a couple of times before you start on the egg. It really is that simple. 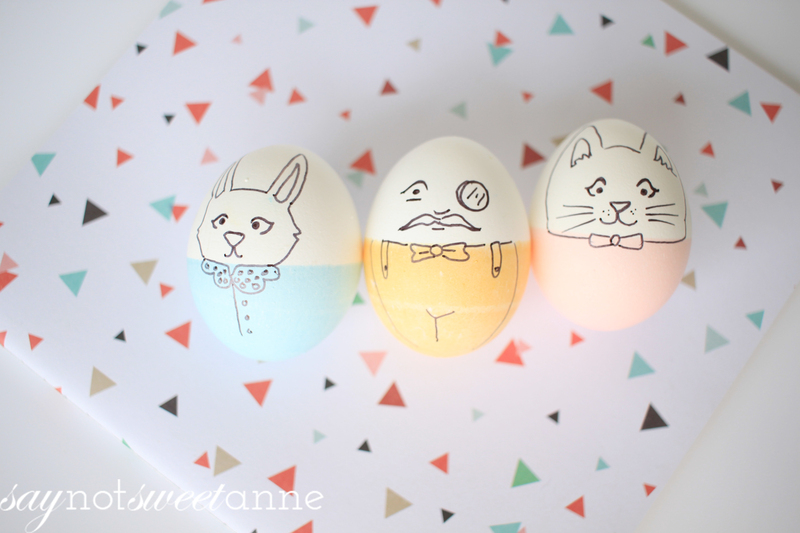 This adorable Easter Egg decorating idea is definitely in my top 10. I just love the aesthetic, and how simple they are to make!